People frequently ask us if penguins and puffins are related. Although both are birds that share a similar black and white feather coloration and a love of fish for breakfast, penguins belong to the family Spheniscidae, and puffins belong to the family Alcidae. Let's take a look at some of the other major differences between penguins and puffins. There are 4 different species, or types, of puffins in the world, ranging in size from 10 to 15 inches. Penguins have 18 different species in their family with a much wider variety of sizes ranging from 10 inches tall to almost 4 feet tall! Here's an interesting fact: An Atlantic puffin stands about 10 inches tall and weighs in at 500 grams, or just about 1.1 pounds. 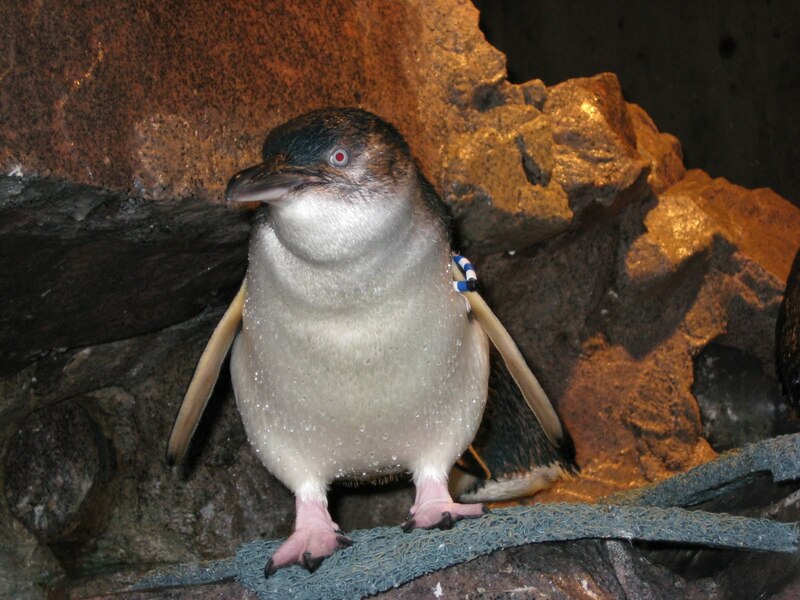 The little blue penguin is also about 10 inches tall but tips the scales at 2.2 pounds. That's double the weight of the puffin! The earth is split in half by the imaginary line we know as the equator. Everything above the equator is in the Northern hemisphere, while everything below the equator is in the Southern hemisphere. All 4 species of puffins live along rocky coasts in the Northern hemisphere, while the 18 species of penguins call some of the coastlines in the Southern hemisphere home. 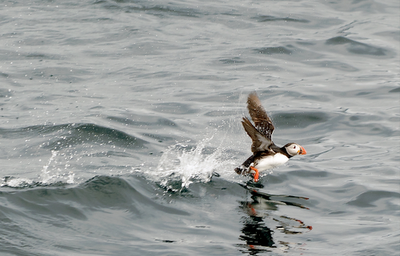 But for all their differences, penguins and puffins do share one unfortunate similarity: They are in trouble! Wild populations of both penguins and puffins are struggling due to problems like over fishing, pollution, global climate change and introduced predators. One group working locally to help protect Atlantic puffin colonies (and many other indigenous seabirds) along the coast of Maine is the National Audubon Society's Project Puffin. Over the last 37 years, Project Puffin has restored puffin colonies to 3 islands, and protects many other valuable seabird colonies on 4 other islands off the coast of Maine. All 7 sanctuaries are staffed during the summer months by teams of staff and volunteer wardens. While on the islands, the teams conduct population censuses, feeding studies and band chicks in order to recognize them when they return to the island as adults. The New England Aquarium has worked closely with Project Puffin over the years and this year they are sending me as a representative to work with the "puffineers" on Matinicus Rock, a tiny island 20 miles off the coast of Maine. Check back soon for updates from the field! And don't worry penguins, I still love you! i love your penguin advert in the subways! 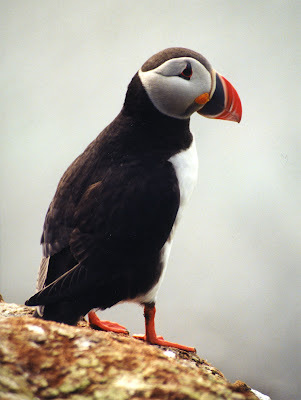 We do research on puffins on islands off the coast of Maine with volunteers from the aquarium. You guys are the best! this was verry helpful for school report on penguins vs puffins! THX!